Most people don’t go to their chiropractor until they have neck pain or headaches. Those are symptoms. Symptoms don’t happen on their own. There is always a cause. Finding and treating the cause is the way to improve your health. Sometimes we have to search to find the cause of your symptoms. It may be the way you sleep, what you’re eating, not getting enough water, or any number of things. Just because you are not in pain does not mean that you can’t benefit from some sort of treatment. For example if you want to be able to get an extra 10 yards from your golf swing, or if you’ve been using your phone too much lately and you want to prevent neck injury by improving your posture. Sometimes the symptoms are not pain. Symptoms are just a way to help us figure out what you need to make you the best you possible. This entry was posted in Chiropractic in General on July 7, 2016 by cmnacnud. A chiropractor is someone who has earned a doctorate of chiropractic degree. To understand what that means, click here. A chiropractor is a physician who practices the healing arts without the use of prescription drugs or surgery (in some jurisdictions chiropractors can perform minor surgery and even have some prescription privileges). What that means is that chiropractors use natural and physical methods to help your body to heal it’s self. The primary tool used by chiropractors, and the one most identified with chiropractic is the adjustment, manipulation, popping, cracking, or what ever you want to call it. 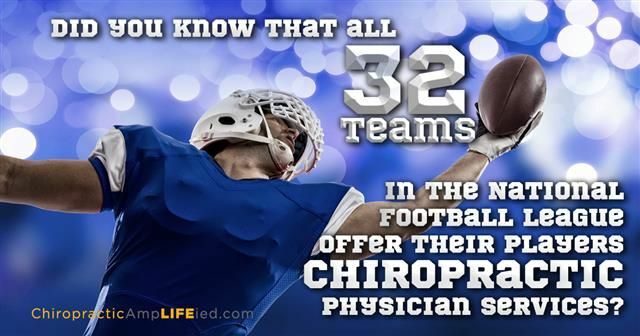 To learn more about chiropractic adjustments and what they do click here. Chiropractors also use changes in your diet, exercise, posture and physiotherapy modalities such as ultrasound, laser, decompression, heat, and electric stimulation to help your body to heal. Practicing healing without medication means that you cannot go to a chiropractor to get your insulin for your diabetes. That doesn’t mean that a chiropractor can’t treat you for diabetes. Chiropractors can treat people with diabetes with diet, exercise, and counseling. While these tools that a chiropractor uses will not cure diabetes or even reverse it for everyone, the vast majority of people will notice improvement in their symptoms and some studies have shown 10% or more people are able to stop their medication and are no longer classified as diabetic. This does not mean that you should stop taking your insulin right now and see your chiropractor, but by seeing your chiropractor you may be able to go back to your medical doctor and have them take you off of your prescriptions. Even if you don’t get to stop your insulin altogether you will still see improvements in your health and weight and be able to live your life more fully. Diabetes is just one example of a condition that your chiropractor can help you with. While most people come to a chiropractor with low back pain or headaches, you can see improvement in your health with your chiropractor’s help no matter what condition or state your health is in. Even professional athletes who are in peak physical condition are able to see improvements in their performance and resilience through chiropractic care. A chiropractor is a doctor who is focused on improving your health no matter where you are on the spectrum of health right now. We can always be better than we are today. This entry was posted in Chiropractic in General on April 18, 2016 by cmnacnud. Sometimes it takes a little while to key into exactly what a patient needs. Every body is a little different and my favorite method for adjusting patients doesn’t work with everyone. This happens with medicine too. Sometimes your medical doctor will try different prescriptions because your body isn’t reacting the way that they would expect. When this happens to a chiropractor they should try different techniques to see if a different form of treatment will work. Every technique system that I have studied has some great tools. I may not use every aspect of these treatment options or even get the certification, but I take away useful treatment tools from each of them. This entry was posted in Chiropractic in General on April 14, 2016 by cmnacnud. Many patients have pain in the morning after sleeping all night and feel that they should be feeling better after a night of rest. That is true you should feel better after a good nights sleep, but many people do not. Here are some possible reasons why you may wake up with more pain than when you went to bed. If you sleep on your stomach you actually increase pressure on the low back and rotate your neck all night long. Waking up with a sore neck or low back pain is common for stomach sleepers especially as you get older. It is not easy to change the position you sleep in because even if you start in a good one your body usually moves to it’s default very quickly while you sleep. Because of this small subtle changes are usually more successful than drastic ones. If your are a stomach sleeper try raising the knee on the side that you turn your head to. That will help prop you up so there is less pressure on the low back and your head will not be rotated so much in comparison to the rest of your spine. Sleeping on your side can cause rotation at both the shoulder and worse at the low back and SI joint. To solve that try putting a pillow between your knees and between your arms so that they are not rotating your torso as much. Sleeping flat on your back can cause stress at the hip flexors and in turn pull on your low back. Try putting a pillow under your knees to reduce that strain. This entry was posted in Chiropractic in General on November 12, 2015 by cmnacnud. My son has watched me enough times to know what to do, but is limited and does his best with his 2 year old body. This entry was posted in Chiropractic in General on October 1, 2015 by cmnacnud.